It’s almost impossible to avoid the cold during this season, especially since there are over 200 viruses that cause the common cold. Here are some simple mom hacks that you can try. My son never got sick as an infant or toddler, but it was a different story once he first started school. It was then nearly impossible to keep us all healthy since he seemingly picked up every germ possible. This always resulted in a domino-effect in the household. We’ve lost count of times we’ve visited the doctor since we’ve been susceptible to various maladies, from the cold and flu to strep and sinusitis. It’s usually worse during the cooler seasons, but the cold and flu are known to run amok in my household during the warmer seasons! 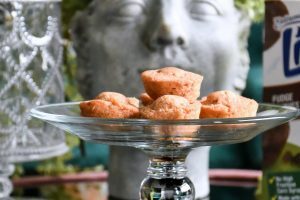 It’s almost impossible to avoid coming in contact with them during these months, especially since there are over 200 viruses that cause the common cold. One of the worst moments was when my daughter, now 4, came down with an upper respiratory infection when she was just a few months old. This required nebulized therapy to help reduce the upper respiratory infection. I felt so scared and helpless since this was my first time ever experiencing something this serious with one of my children! Things like this can always happen when we least expect it, so we should always be prepared for the inevitable. That’s why it never hurts take some preventive measures like washing your hands often, relaxing, considering stress can make us more prone to illnesses; using an air purifier since it cleanses the air by killing off airborne pathogens; and getting plenty of rest. Being sleep-deprived can actually produce fewer virus-fighting cells. It’s important for our bodies to get plenty of rest when we’re sick to avoid overworking an already weakened immune system. Getting plenty of rest is also a surefire way to help boost the body’s immune system. 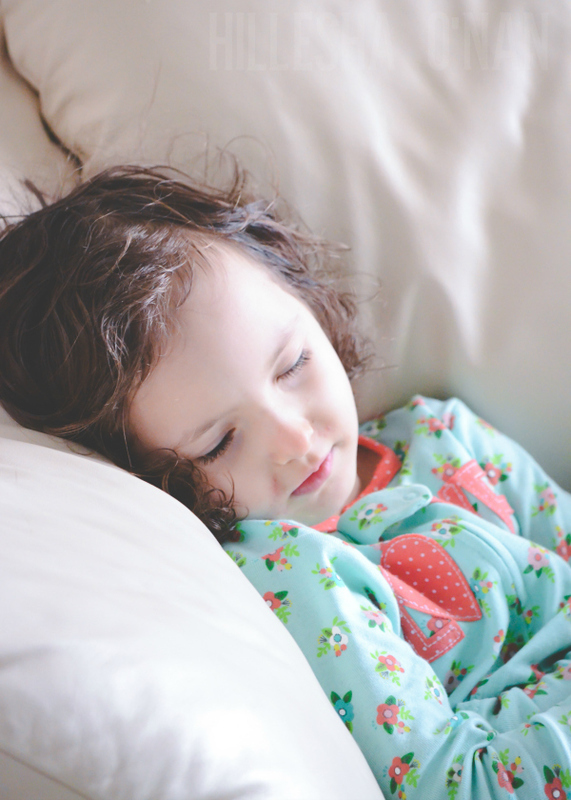 My children often toss and turn during the night while sick. I find that diffusing aromatherapy oils like lavender or roman chamomile helps lull them into a blissful slumber at times. You can easily find these type of oils at your local grocery, natural health, or vitamin store. I also help my family and I boost our immune system by drinking plenty of fluids, namely water. Drinking water is probably the last thing on our minds when we’re sick, but it’s beneficial in many ways: in helps thin out secretions that are thickening in our airways, helps build white blood cells within the immune system, makes up losses of body water, prevents dehydration, and ensures that we get well more quickly. It’s dated advice that’s not senseless hooey, after all. I do try to encourage my children to drink more water by adding flavor to their water with fresh fruit like citrus. Citrus fruits are loaded with vitamin C! I always make sure that I have a reliable thermometer on standby even though my daughter loathes getting her temperature taken. She practically has a meltdown when she’s feeling under the weather and doesn’t want anything near her! This is where the digital thermometers from Braun come into play. 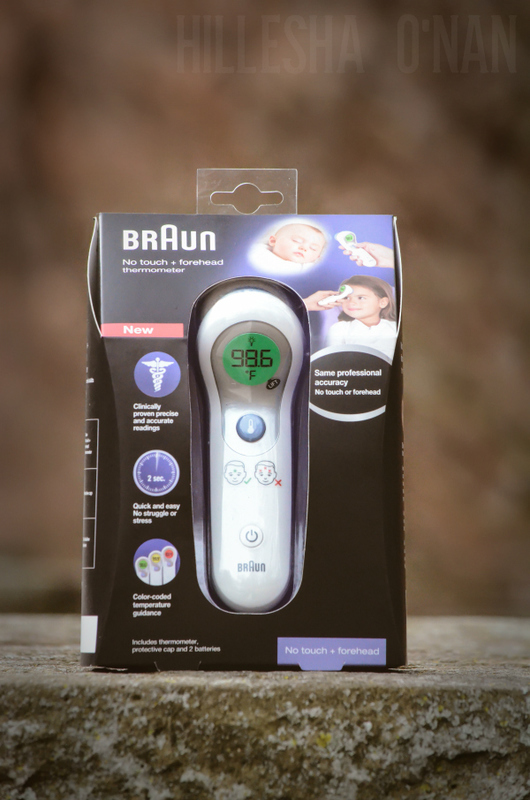 The Braun ThermoScan® 5 Ear Thermometer is a top selling thermometer that measures the temperature via the ear canal. This is actually the best place to get the most accurate reading! This is because of the ear canal’s close proximity that shares the blood supply of the brain’s temperature control center. 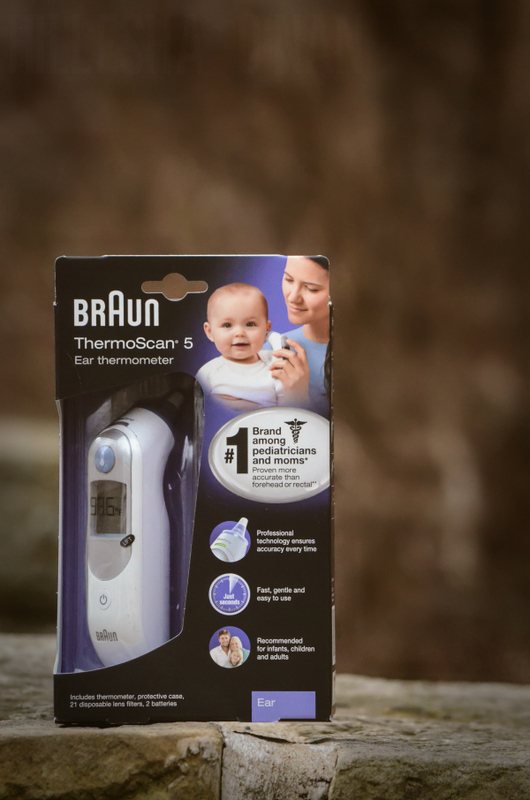 It’s no wonder why the Braun ThermoScan® 5 Ear Thermometer is preferred by many doctors than any other infrared thermometer brand! 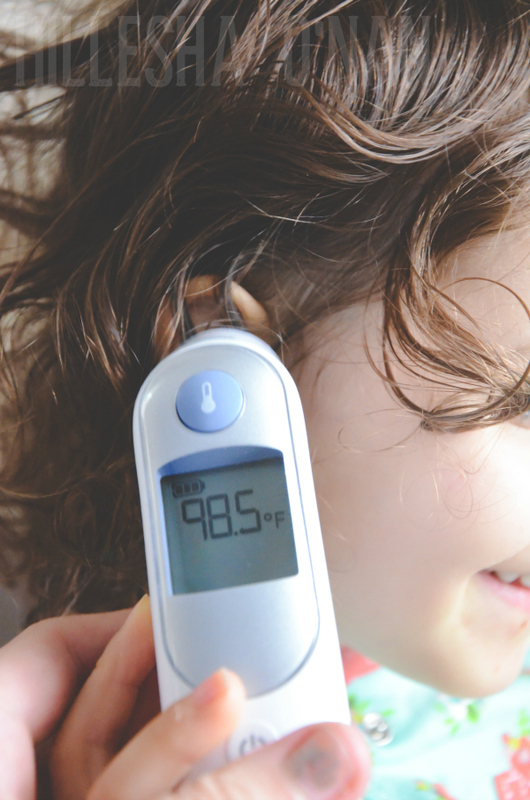 My daughter usually doesn’t put up too much of a fuss whenever I use this thermometer, but the Braun No touch + forehead Thermometer comes in handy for those fussy moments! The Braun No touch + forehead Thermometer ensures the most comfortable experience while providing an accurate reading by holding it 2 inches away from the forehead. That way you don’t have worry about disturbing your child’s sleep. It also won’t make a single beep if you mute the sounds. You can’t argue with that! It’s not surprising that it received The Bump’s coveted Best if Baby 2016 award. It is pretty amazing! 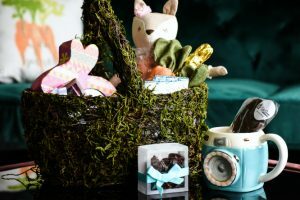 One winner will receive a Braun No Touch + Forehead Thermometer, ThermoScan 5 Ear Thermometer, and a $50 Amazon Gift Card. What are some mom hacks that help you get through the cold and flu season? Taking 1,000 IU of D3 for every 25 pounds of body weight can significantly increase your body’s ability to fight infections. 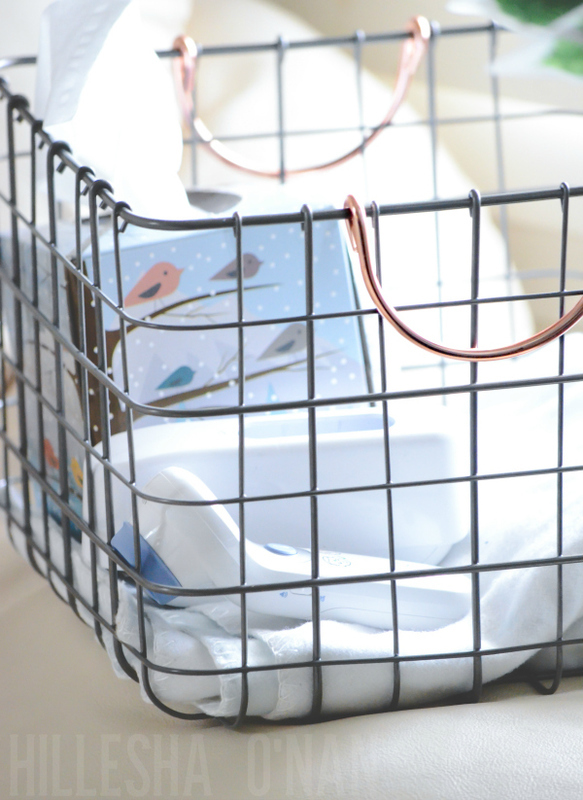 Keep a plastic bag in the car to contain all of the used wipes & tissues –and use boogie wipes. They really work for helping with cold and the flu. Drink plenty of water and get your flu shot! My mom hack for surviving the cold and flu season is to sanitize surfaces around the house and washing hands whenever returning home and before eating. Keep hand sanitizer and anti bacterial wipes handy. The best thing is keeping your hands away from your face. Thank you! I use a lot of Clorox and a lot of washing the hands and I just love netflex. Constant hand washing is my #1 priority! We wash our hands often, take vitamins and drink orange juice. Homemade chicken soup. Tea with lemon and honey. Rest and washing hands often, especially when coming in from being at stores or school. I make sure that the sick child does not share their water bottle with anyone else. I also stress washing their hands! We avoid crowds as much as possible and do plenty of hand washing. Stay hydrated and Vit C! My hack is to give my kids immune boosting vitamins. We fight off colds with Emergen-C! OJ is the best drink to give out, thank you so much! To rub Vicks Vapor Rub on the soles of the feet and cover with socks at night, to rub it on the chest, and to use it in a humidifier. Water, water, water!!! And Zicam! My mom hack is eating lots of fruits, and veggies. Getting lots of sleep, and good hand washing. We try to get enough sleep, drink water, and wash our hands frequently! We beat colds and flu season by getting lots of sleep, taking vitamins and washing hands. My hack is to carry sanitizer with me so when we can’t wash our hands we can get rid of germs to avoid getting sick. I just use lots of soap and sanitizer and try to catch the sickness as early as possible. I don’t really have one. Just lots of hand washing and wiping down with bleach wipes. Thank you! Vitamin C and washing your hands! I keep garlic fermented in honey on hand at all times. This will kick just about anything anyone gets. Proper hand sanitization and lots of fluids. My hack is to take daily vitamins and wash hands with soap often. We take probiotics and immunity boosting supplements (gummies). Sanitizer, vitamin C and extra rest. Lots of hand washing and keeping up on vitamins! Wash hands and keep hydrated. Make sure they drink lots of water and keep washing those hands! Wash hands as much as possible and bundle up when going out into the cold. Washing hands, taking vitamins and getting a good nights rest. My mom hack for cold & flu season is tried and true: Wash hands frequently, cover mouth when coughing, drink lots of water and take a multivitamin, and eat oranges or drink OJ. My mom hack for surviving the cold and flu season is peppermint tea with honey, chicken broth with cooked onion, and popsicles. Drink lots and lots of water. And use Lysol religiously. Always have Chicken broth on hand and some vicks vapor rub! My two must haves when having a cold. We do lots of hand washing, take a multi vitamin and extra vitamin d, keep surfaces sanitized, drink lots of liquids and get a flu shot. Washing hands is a must. Vitamins, good hand washing, and extra rest. Sometimes let the kids skip school if they look as if could use a rest day. Also try to remind the kids to not touch their face! I keep the doorknobs wiped down well with Clorox wipes. This is a good remedy for keeping the germs out of our house. Keep Lysol spray and wipes handy to keep germs at bay. Take vitamins and get enough sleep. Lots of orange juice, soup and tlc! I would say lots of vitamin c! My mom hack is to make sure that they take vitamins everyday and eat plenty of fruit and vegetables. Lots of hand washing, and a lot of sleep, it helps when keeping everyone well. I ensure my kids get plenty of sleep and eat their fruits and veggies. They also wash their hands a lot. My mom hack for surviving the winter cold and flu season is simple: homemade awesome hand sanitizer with me everywhere and on everyone and everything to avoid getting sick! Works really well. We crank up the humidifer, make homemade chicken & vegetable soup, and get plenty of sleep ! Staying hydrated, taking vitamins, disinfecting surfaces, and frequent hand washing. I say have soup and rest. My advice is to get a flu shot and wash hands often. If you get sick, get a lot of rest.